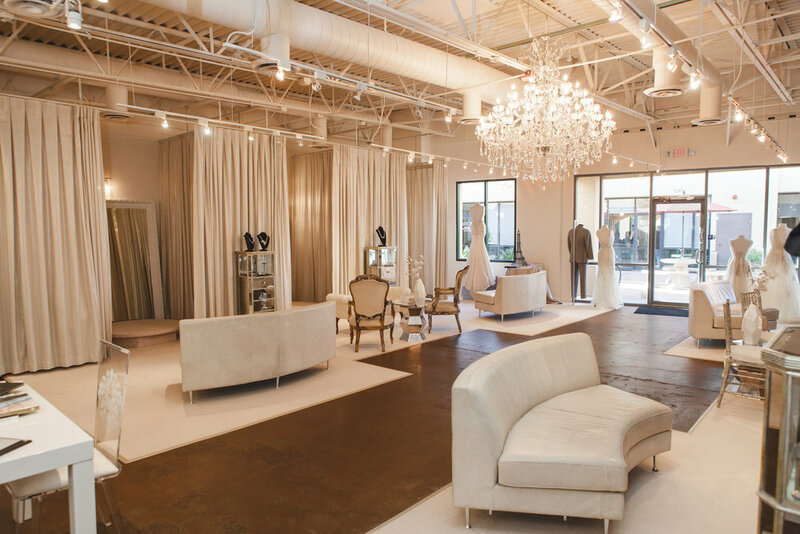 We took an industrial space and made it soft and pretty by adding wool carpet and ceiling length drapery dressing rooms. 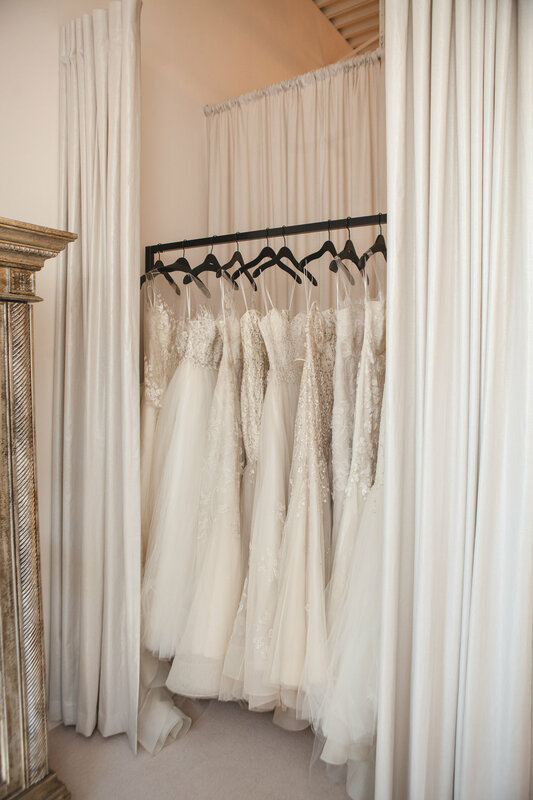 The entire space was designed around the custom draperies. The blush fabric has a shimmer that reflects the light from the chandelier centered in the runway. 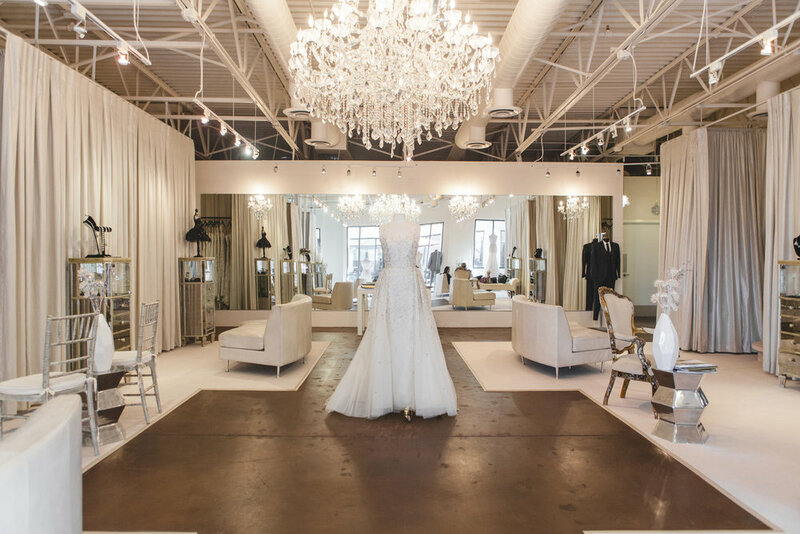 Shopping for your wedding dress at Destiny’s Bride is a beautiful experience.